Applejack & Pinkie heading to school. ...and as always, some more human Applejack, because human Applejack is awesome. 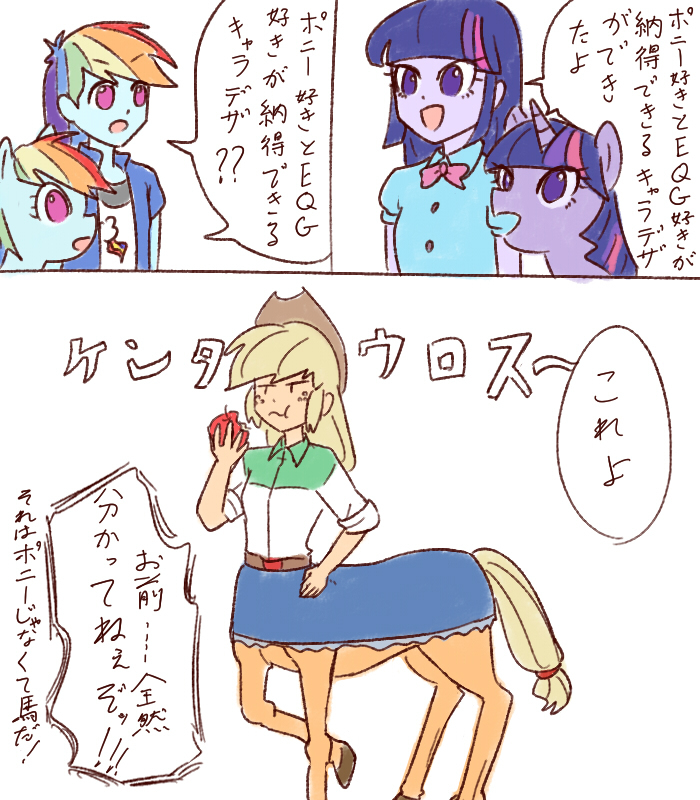 Centaur Applejack STILL not your thing? Well then enjoy a little moe AppleDash in the meantime. AJ, what are you doing? Reprogramming her?